Dear Devotees, all Glories to Sri Sri Guru and Gauranga! I am currently in Thailand on the island of Koh Phangan. Koh Phangan is a worldwide mecca for hundreds of thousands of hatha yoga practitioners with dozens of yoga retreats and healing centers here. The visitors are mostly from Europe and generally uneducated about yoga, so people are very open and favorable to preaching. Also, it is very near to India here, with travel to Nabadwip/Mayapur realistically possible in one day, two at most. Very easy and convenient travel to India from here. There is a property directly next to the ocean with two large yoga halls for rent which could easily be converted into a temple and facilities. 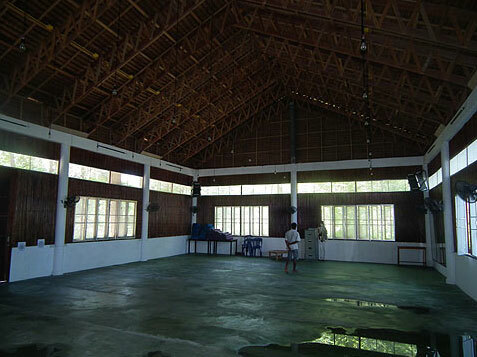 Rent for the large hall would be $800 per month and I am confident we could negotiate with the Landlord to rent both halls for $1000 per month. This is an ideal location for devotees to rest on their travel to and from India, or for devotees to regain health after India travel. There is an abundance of housing/living arrangements and bungalows, either directly on the beach or very nearby. Tropical fruits (bananas, coconuts, papayas, mangos) are abundant and affordable. Thai people are friendly and also favorable. I am seeking financial assistance and people power to establish this project. This is envisioned as a sanctuary and place of rest & worship for all devotees from all Sanghas, so long as they are respectful to each other. If someone would like to pledge for the monthly rent, or devotees experienced with temple seva who would like to come establish Deity worship and temple programs, this would be welcome. I should note that there are thousands of people coming to this island for “yoga vacations” each year that are receiving incomplete information or being misled, so it would be a great service to establish preaching here. This is a huge yoga and health destination. 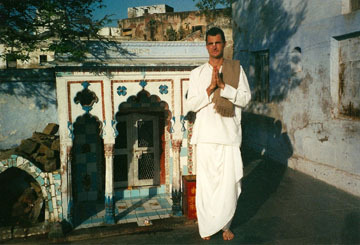 This is an amazing, peaceful sanctuary location, wonderful for devotees to take shelter and very, very close to India. It seems that it would be a great service to all Vaishnavas to establish a center here. Please contact me directly at lunalight108@gmail.com should you have questions or wish to discuss the project.